H710-BELT HOLSTER [H710] - $41.10 : Don Hume Leathergoods, Simply the Best! 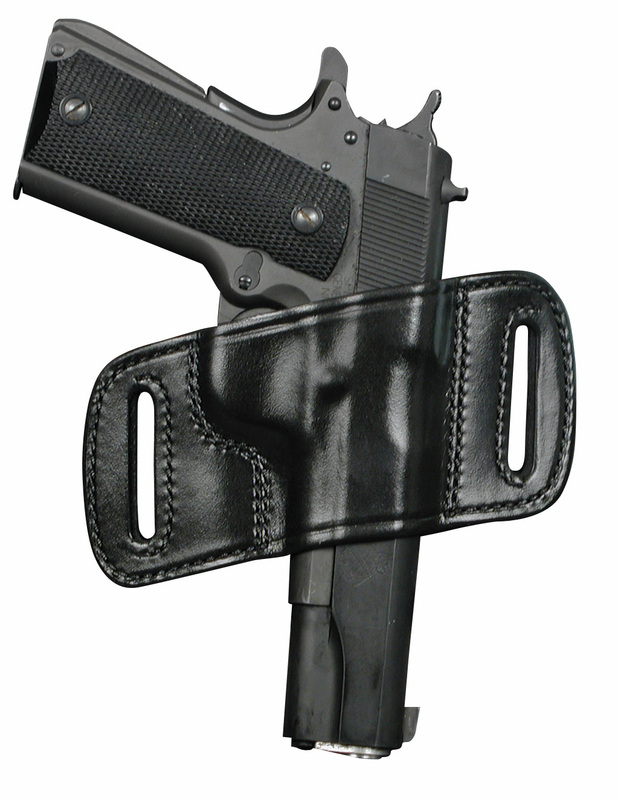 "FIRST AGENT" AUTOMATIC & REVOLVERS - H710 This popular holster has double stitched sew lines. Rides high and close to the body. Fits belts up to 1 3/4. The fit and finish are great although it was a little tight when i got it, I have since broken it in and it works great. I like how low profile it is, I can wear it on my hip or on the small of my back and it doesn't show in either place. All in all a good CCW holster. Thanks Don Hume! I forgot to mention that I bought this for a Taurus PT24/7 Pro in 45ACP, So if your looking for a good holster for a 24/7 in 45ACP this is the one to get, the holster for the Taurus PT145 is what I found to work best. I purchased the H710 for my Glock 19. It arrived in perfect condition and with a perfect molded fit for the weapon. Quality and finish is great. Just as reported it holds the weapon close and high for easy concealment. It also fits my Glock 26. My next purchase will definitely be from Don Hume for a Glock 38. You won't be disappointed.